Paul K. Holden, M.D. is one of a select few board-certified head and neck surgeons and specialty-trained facial cosmetic (plastic) surgeons in Scottsdale, Arizona. He is one of only a few nasal surgeons in Scottsdale with expertise on both the cosmetic appearance and function of the nose. Dr. Holden is part of a prestigious line of surgeons that date back to the original pioneers in the art of cosmetic nasal surgery. This means that his experience is combined with that of his predecessors into a breadth of knowledge spanning nearly 100 years of operating experience. Dr. Holden believes in a customized approach to each patient that takes into account the patient's desires, function, tissue limitations and many other factors. 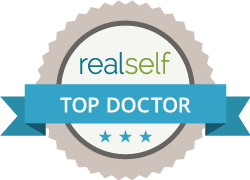 As a trusted leader in his field, Dr. Holden has educated many other doctors on his techniques of facial plastic surgery. He has authored several plastic surgery book chapters. Additionally, Dr. Holden has published research in many areas of the face and neck, including cartilage reshaping, the use of lasers in surgery of the face and neck, and advanced techniques for surgery of the face and neck, as well as for injecting dermal fillers with precision for maximum effect and natural results. Dr. Holden’s specialties focus primarily on aesthetic and revision cosmetic surgery for the face, nose, neck, ears, and chin with an emphasis on refining procedures for men and women. He continues to develop cutting-edge surgical techniques to produce lasting results that look and feel natural. Dr. Holden is well-known for a facial procedure he developed called the ponytail upper facelift. This surgery essentially lifts the upper brow area, removes wrinkled and loose skin, and makes the area smooth throughout the brow and under the eye. He uses several small incisions on the hairline to do the delicate procedure endoscopically, leaving no visible incisions or scars while repositioning the skin and cheeks to a more youthful position. Dr. Holden has completed thousands of revision surgeries to the face and nose. The unique combination of his research and specialized understanding of the structures and function of the nose enable him to restructure and rebuild each nose to a more refined, symmetric shape based on each patient's individual desires. Dr. Holden utilizes the many advanced techniques in rhinoplasty learned over his years to perform beautiful, natural rhinoplasty and improve previous rhinoplasty surgeries. His dedication to accomplishing his patient’s goals and his years of experience permit him to improve the most complex rhinoplasty or facelift surgeries with confidence and finesse. Dr. Holden attended the University of California, where he earned a Bachelor of Science in biochemistry in 1994 and a Master's of Science in biochemistry in 1995. He completed his medical education at the University of Southern California, Keck School of Medicine, in Los Angeles, CA in 2004. At USC, he was a Dean’s Scholar, a member of the Alpha Omega Alpha Honors Society, and he graduated at the top 5% of his class. From 2004-2009, Dr. Holden fulfilled his internship in general surgery and his residency in head and neck surgery at the University of California, Irvine School of Medicine, in Irvine, CA. In 2009-2010, he completed a fellowship in Facial Plastic and Reconstructive Surgery in Indianapolis, IN with the highly-esteemed Dr. Stephen W. Perkins. As an expert in his field, Dr. Holden has instructed his fellow surgeons on his techniques of facial cosmetic surgery, authored book chapters on the subject of cosmetic and reconstructive facial surgery, and has published research in the areas of advanced techniques in revision rhinoplasty, cartilage reshaping for use in rhinoplasty, advanced techniques in eyelid surgery, lasers in surgery, and advanced techniques for BOTOX. Dr. Holden has been a clinical instructor on the faculty at the University of California and Indiana University, teaching both medical students and residents in the art and science of facial plastic surgery and surgery of the head and neck. He consults for various news and media outlets and is an invited reviewer for several prestigious research journals. Dr. Holden frequently presents his research at national meetings, on the topics of rhinoplasty, revision rhinoplasty, eyelid surgery, facelift, and stem cells. Being one of the best facial revision plastic surgeons in Arizona, he has received numerous awards recognizing excellence in the field of facial plastic and reconstructive surgery. Dr. Holden's clientele includes local, national and international high-visibility business women and men, celebrities and athletes. Holden, Paul K. M.D., Linthicum, F. H. Mondini Dysplasia. Otology & Neurotology, 2005, Jan; 26 (1):133. Holden, Paul K. M.D., Linthicum, F. H. Glomus Jugulare Tumor. Otology & Neurotology, 2005, Mar; 26 (2): 312-313. Holden, Paul K. M.D., Vokes D.E., Taylor, M.B., Till, J.A., Crumley, R.L. Long Term Botulinum Toxin Dose Consistency for the Treatment of Adductor Spasmodic Dysphonia. Arch Otol Rhinol Laryngol, 2007; 116 (12): 891-896. Chae, Y., Protsenko, D., Holden, Paul K. M.D., et al. (2008). Thermoforming of tracheal cartilage: viability, shape change, and mechanical behavior. Lasers Surg Med, 40 (8): 550-561. Holden, Paul K. M.D., Liaw L.H., et al. (2008). Human nasal cartilage ultrastructure: characteristics and comparison using scanning electron microscopy. Laryngoscope, 118 (7): 1153-1156. Holden, Paul K. M.D., Li C., et al. (2009). The effects of laser irradiation of cartilage on chondrocyte gene expression and the collagen matrix. Lasers Surg Med, 41(7): 487-491. Holden, Paul K. M.D., Chlebicki, C., and Wong, B.J. (2009) Minimally invasive ear reshaping with a 1450-nm diode laser using cryogen spray cooling in New Zealand white rabbits. Arch Facial Plast Surg, 2009. 11(6): p. 399-404. Holden, Paul K. M.D. Nasal Trauma. The 10 Minute ENT Consult. Djalilian, 2008. Holden, Paul K. M.D., Perkins, S.W. Transcutaneous Lower Eyelid Blepharoplasty. The Masters of Facial Plastic Surgery, 2010. Holden, Paul K. M.D., Perkins, S.W. Selection, Storage and Use of Facial Fillers – What to use and why. Office Based Injectable Facial Cosmetic Procedures, 2010. Holden, Paul K. M.D., Sufyan, A., Perkins, S.W. Long-term analysis of surgical correction of the senile upper lip. Archives of Facial Plastic Surgery, 2011. Holden, Paul K. M.D., Sufyan, A., Perkins, S.W. Alar spanning suture: a useful technique in refinement of the nasal tip. Holden, Paul K. M.D., Chlebicki, C., Liaw L.H., Wong, B.J. Determining Laser Dosimetry for Cartilage Reshaping in Ex Vivo Rabbit Ears. Holden, Paul K. M.D., Vokes, D.E., Crumley, R.L. Long Term Botulinum Toxin Dose Consistency for the Treatment of Adductor Spasmodic Dysphonia. Podium Presentation at the American Laryngological Association COSM, San Diego, CA, May 2007. Hedman, T.P., Syed, B., Holden, Paul K. M.D., Gray, D. Quantification of intervertebral disc degradation resulting from fatigue. Podium presentation at the 48th Annual Meeting of the Orthopaedic Research Society, Dallas, Texas, February 10-13, 2002. Holden, Paul K. M.D., Chlebicki, C., Chae, Y.S., Wong, B.J. Determining Safe Laser Dosimetry for Cartilage Reshaping in Ex Vivo Rabbit Ears. Presented at the Triologic Society Western Section, 2008, Rancho Mirage, CA. Holden, Paul K. M.D., Chlebicki, C., Liaw, L.H., Wong, B.J. Human Nasal Cartilage Ultrastructure – Characteristics and Comparisons Using Scanning Electron Microscopy. Presented at the Triologic Society Western Section 2008, Rancho Mirage, CA. Hedman, T.P., Gray, D., Syed, B., Holden, Paul K. M.D., Han, B., Nimni, M.A. new treatment to reduce fatigue-induced degradation of the intervertebral disc. Presented at the USC/GOS Annual Meeting, Los Angeles, California, June 21, 2002. Ghasri P., Foulad, A., Holden, Paul K. M.D., Nguyen, H.N., Wong, B.J. Finite Element Representation of the Human Auricular Cartilage Framework: Implications for New Approaches to Otoplasty. Presented at the Triologic Society Western Section 2008, Rancho Mirage, CA. Holden, Paul K. M.D., Linthicum FL. Histopathologic Evidence of Inner Ear Conductive Hearing Loss. Presented at the Triologic Society Combined Middle/Western Section Meeting. Coronado Island, CA, April 2006 (President’s Award). Holden, Paul K. M.D., Kelley, T.F., Wong, B.J., Crumley, R.L. Power Instrumentation in Rhinoplasty for Resident Training. Presented at the Triologic Society Combined Middle/Western Section Meeting, Coronado Island, CA, April 2006.